The sessions are from 2-4 hours, leaving time for feeding, setup changes, and cuddles. Sessions will be done at the new Monterey Photo Studio. 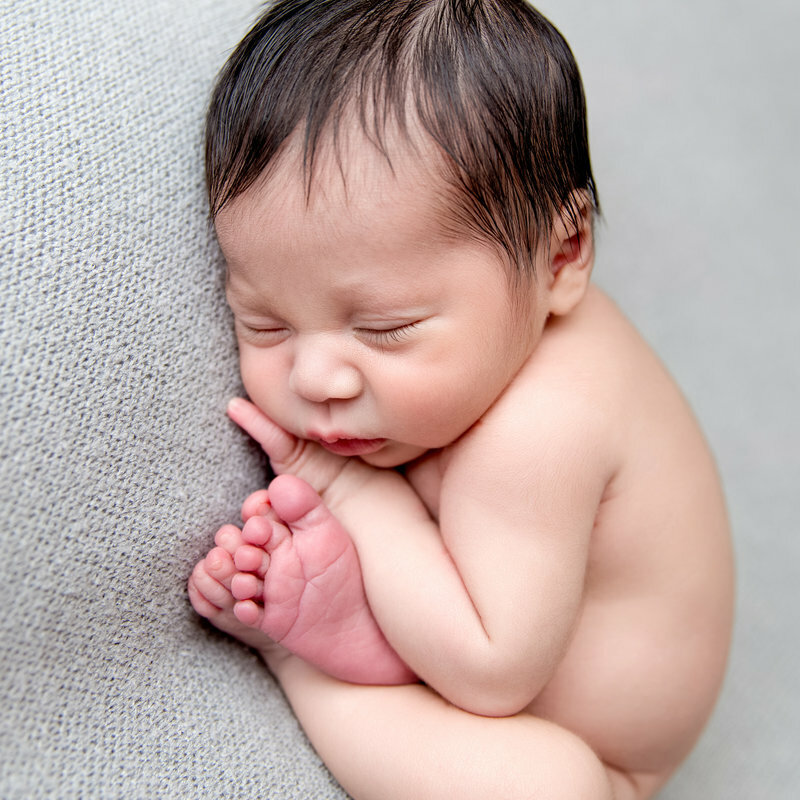 Newborn sessions are best done the first week (5-10 days) to get those sweet curled up poses. 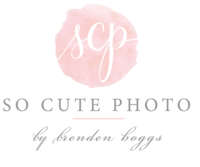 As we all know, newborn come on their own time and I make session appointments as flexible as I can. When you book your session I will put your due date on my schedule, which secures your spot. 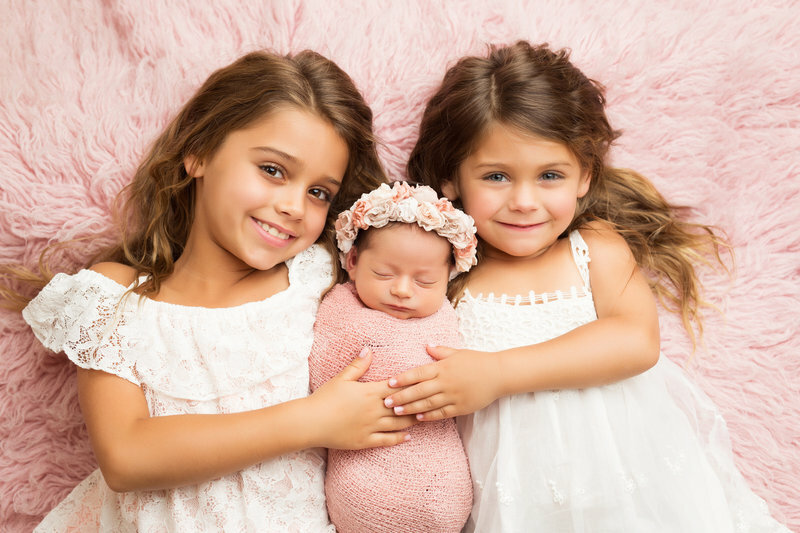 Newborn sessions include parent and sibling portraits. 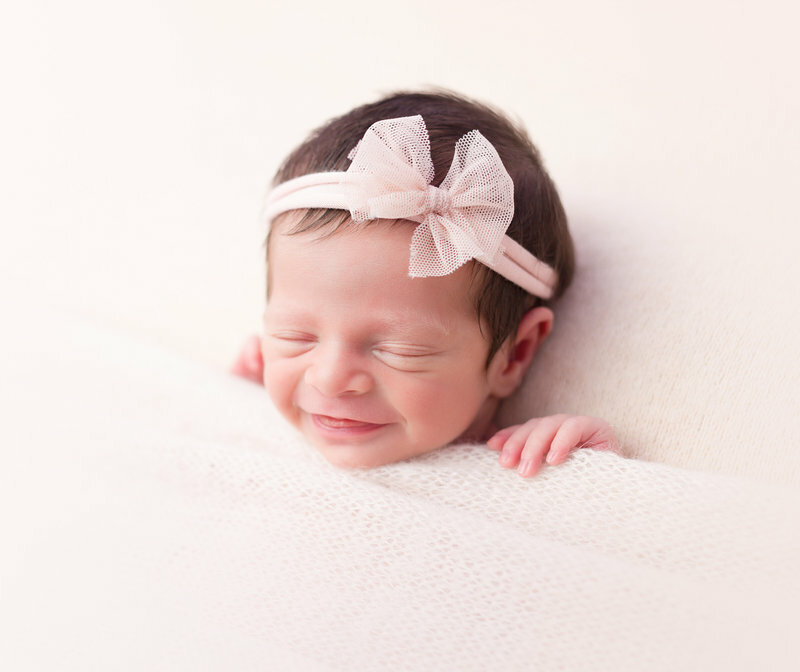 I style each session with a beautiful selection of newborn hats, headbands, and other props. Your images will be presented at your in person ordering session approx. 2 weeks after your session. For more information about pricing and our unique "Create a Collection" packages please download the pricing brochure. Contact Brenden below for more information.